What is the name of this monastery, the site of a famous WW2 battle? That was the question subscribers were asked in July. And it proved a good deal easier than the question we posed the previous month, since lots of people gave the correct answer – Monte Cassino. The three lucky winners, drawn at random from the list of people who gave the right answer are: Mr Stewart of County Tyrone, Mr Rassell of Colchester and Mr Givens of West Boldon. Each will shortly receive a signed, hardback copy of ‘World War Two: Behind Closed Doors’ together with a DVD of the accompanying six part television documentary series. 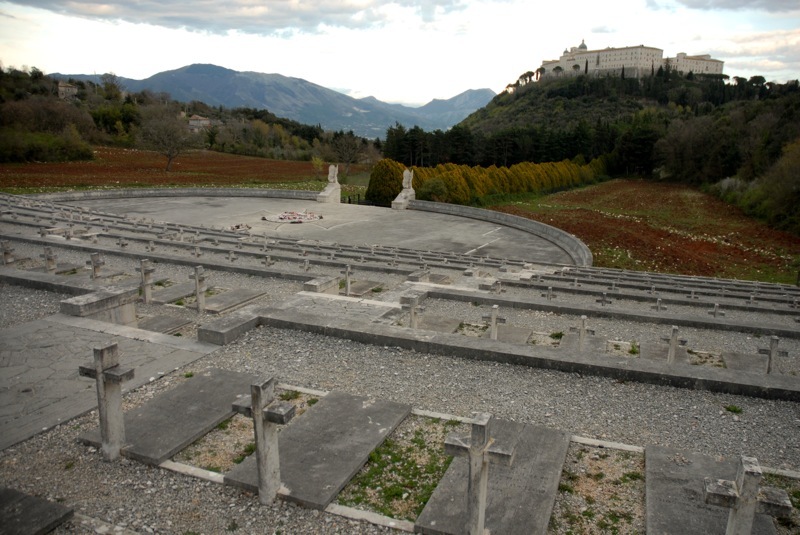 In the foreground of the picture is the Polish graveyard at Monte Cassino. It’s an intensely moving place to visit, not only because so many Polish soldiers died to capture Monte Cassino, but because a large number of these Poles came from an area of Poland that Churchill had agreed would become Soviet territory at the end of the war (and is part of Belarus and Ukraine today). 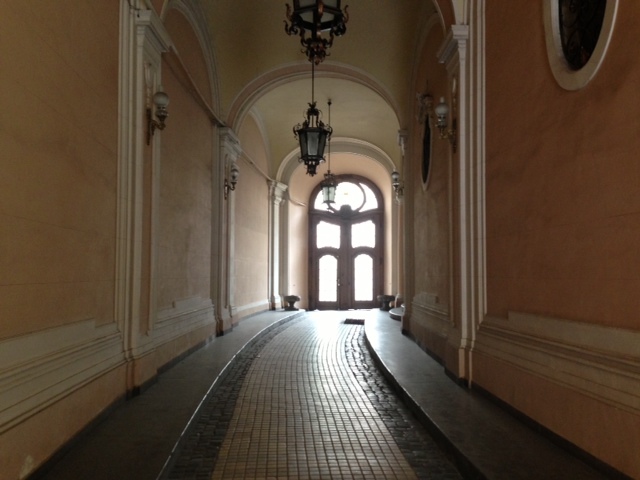 I remember that just after this photo was taken a group of Poles arrived to hold a memorial service in the cemetery. It was a very emotional affair and many tears were shed. PS There is now a new competition in the Members’ Zone. This one is harder, I think, and requires you to know which hideous henchman of Stalin’s was also obsessed with football.